Granite Belt Wildflowers Out of Oblivion series was created during an artistic residency for the last three years on a forested property at Wilsons Downfall. Local bush flowers, flickering in the sunlight and scattered across this beautiful and inspirational landscape, are the focus of this series. The flowers, such as Glycine clandestine (Twining glycine) and Chrysocephalum apiculatum (Yellow buttons) to name just a couple, were collected at various locations on the property to create images and map the locations. Many of the flowers are almost invisible in the landscape amongst abundant lush ferns, tall grasses and fallen branches. This exhibition brings the blossoms out of their bush stage, where they once flourished unseen, and thereafter have emerged grander and brighter as art installations in situ during The Piano Mill public events. These emergent hues now dominate the Gallery space with their bold and rich presence. To create these images I use an experimental process I call the biochrome. I have been developing this process for over a decade. Based on the fusion of organic and photographic materials over a period of time, and subject to natural decomposition, biochromes are records of nature’s events of organic decay and growth. This art/science undertaking allows for transformation of flora, and makes visible what is usually invisible to our eyes. 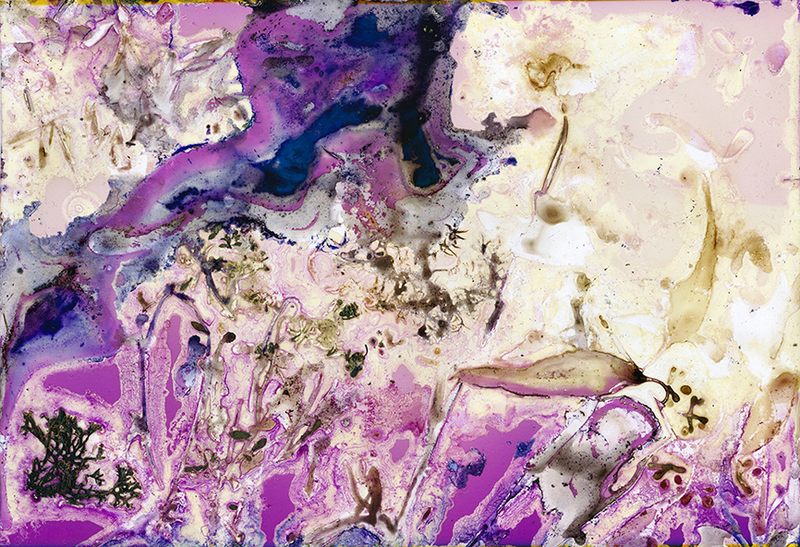 Renata Buziak (PhD) is a photo-media artist, educator and researcher, who is passionate about materially engaging nature and organic processes in her work. Her art practice builds on alternative and experimental photography, focusing on intercultural and art–science research, and collaborations. For over a decade, Buziak has been developing an image-making process, the biochrome, by fusing organic and photographic materials. Her PhD studio research focused on local Australian healing plants from Minjerribah (North Stradbroke Island), and her recent art– science collaborative work explores soil degradation. Her work has been exhibited in national and international solo and group exhibitions, received numerous art awards, and is held in private and public collections. Renata also facilitates presentations and workshops for children and adults. During Granite Belt Wildflowers: Out of Oblivion audiences of all ages are invited to engage with the artworks and educational art activities provided. Artist website: Renata-Buziak.com or follow renatabuziak on Instagram.